Besides serving as a Managing Director, Markus has also taken responsibilities as Head of Regulatory Affairs within the Quality Operations team. Additionally, he is in charge of business development items and client relations topics. He was previously Head Quality Control at Igeneon/Aphton Biopharma where he was responsible for all QC aspects of pre-clinical and clinical projects such as stability studies, specifications, method validation, and product release. Before that, he was Group Leader of Immunology and Product Development at Biomin GmbH, Head Biochemical Control at Baxter AG and Head Quality Operations at Octapharma GmbH. He has more than 20 years of experience in pharmaceutical industry, with focus in vaccines, recombinant proteins and immune therapeutics. He has profound expertise in regulatory aspects such as third party audits, inspections and GMP guidelines. He has a management consulting education and additionally owns a doctorate in chemistry/biochemistry from the Technical University of Graz, Austria. 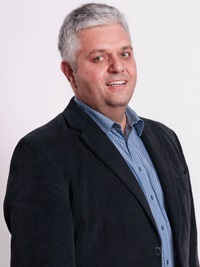 Klaus Hajszan is the responsible Qualified Person (QP) for VelaLabs and in addition holds the position of Head Quality. He joined VelaLabs serving firstly as Senior Technician QC and Head Quality Control. He has more than 10 years of experience in the medical field and biotechnology industry. His experience includes protein analytics, quality control, quality assurance, and a profound knowledge of protein development (characterization, (pre)clinical studies). Furthermore, he is lector on international conferences (GMP, analytics, and method transfer). Markus Roucka is responsible for Business Development and Marketing (CBDM). He started his career at Biomin GmbH in R&D (fermentation optimization and QC in microbiology). During his studies at the University of Applied Sciences for medical and pharmaceutical biotechnology (IMC Krems) he searched at the UMCG Groningen. At VelaLabs he started as Senior Technician and further as Head of Laboratory for many years. He has more than 10 years of work experience in biotechnology industry including protein characterization under GMP regulations (biosimilars, biopharmaceuticals, biologics) with a focus on assay development and optimization. His main experience is within cell culture, flow cytometry and SPR (Biacore) methods. Jennifer Mayrhofer is the Chief Project Officer (CPO) of VelaLabs. Jennifer Mayrhofer got a MSc. degree from the Technikum Vienna and a MA degree for project management and organizatio) from the FH of the BFI Vienna. After 4 years of research at the Medical University of Vienna she joined VelaLabs in 2011. Starting as laboratoty technician, her career at VelaLabs recently led to her appointment as Chief Project Officer (CPO).